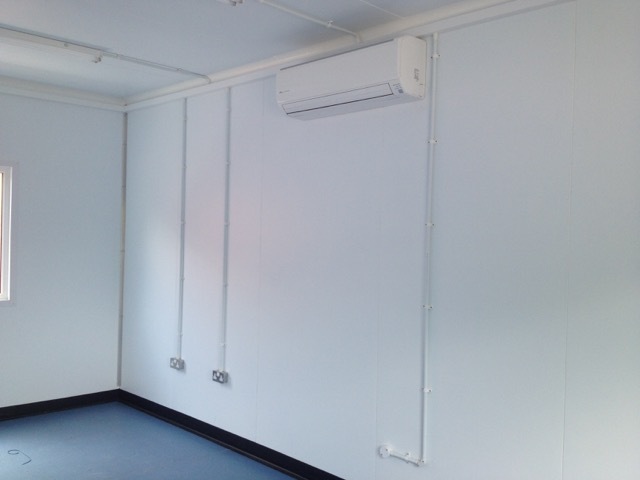 The installation was undertaken to provide UL International LTD a chamber that ranges between -25°c to +60°c and 20% to 98% humidity. 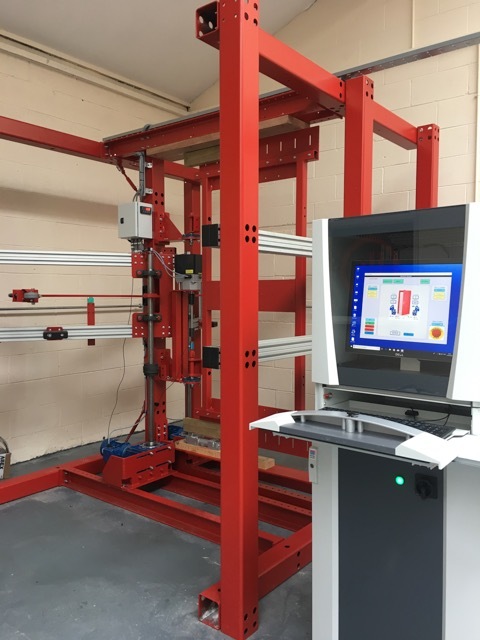 The chamber houses a unique automated door opening systems that can test the hinges, handles, self-closure devices and even the locking mechanisms. These operations can last up to four weeks testing the product up to 500,000 times or even to destruction. The chamber was introduced for environmental testing and UCAS accreditation. TIS Services most ambitious project to date. 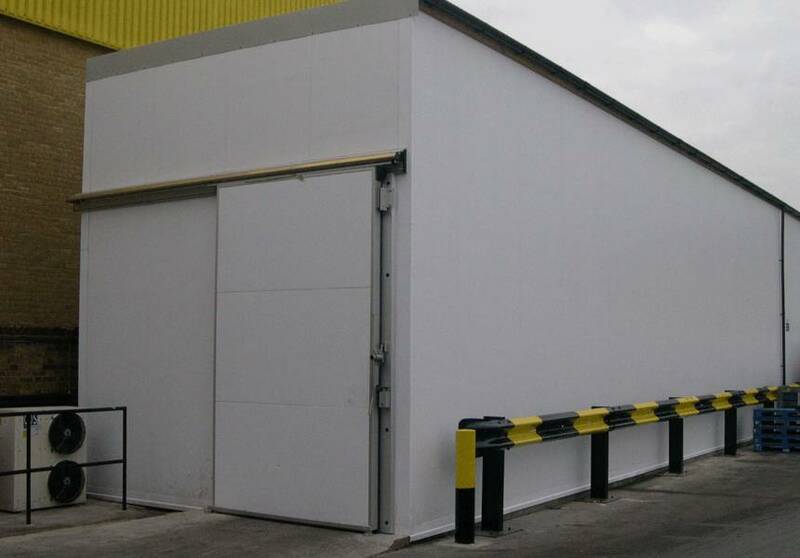 TIS where approached to design and install one of the best facility’s available incorporating all aspects of extreme environments. Whilst aesthetically pleasing to the eye it features twin vertically mounted fans capable of creating a wind chill at 60Kph of -51°c, with full laminar flow with a hidden up lit conditioning plenum, twin 42” HD weatherproof TVs displaying the current chamber conditions, fully automated cognitive LED lighting that changes colour with the temperature of the chamber, a safety personnel movement / non movement alarm system and an Altitude system capable of reaching 8848 mtrs (Everest Summit), this systems rivals even our UAE chambers. 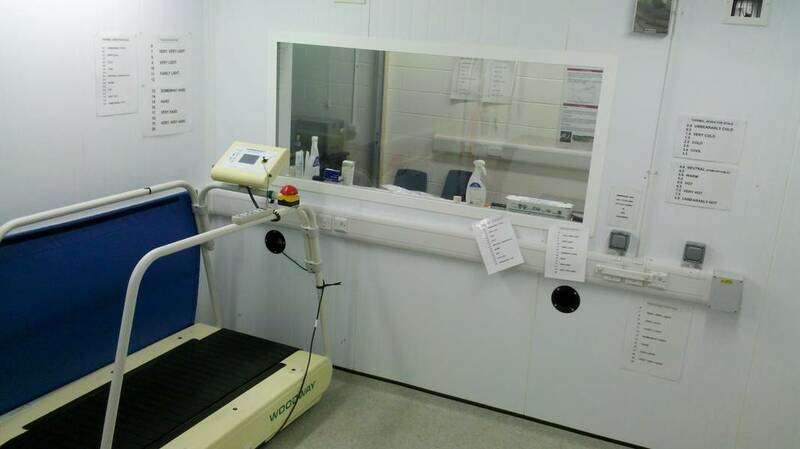 TIS Services took on the supervisory role for the outdoor constructed facility, built in a car park at the MOD’s training ground in Surrey, the ambient conditioned structure has three compartments for laboratory research studies into muscular fatigue, tissue recovery and bone scanning for all aspect of military personnel, air land & sea, active or office. Home of British Boxing, the full environmental facility used by many prominent sports persons including Audley Harrison and renowned cyclist Steve Myers. 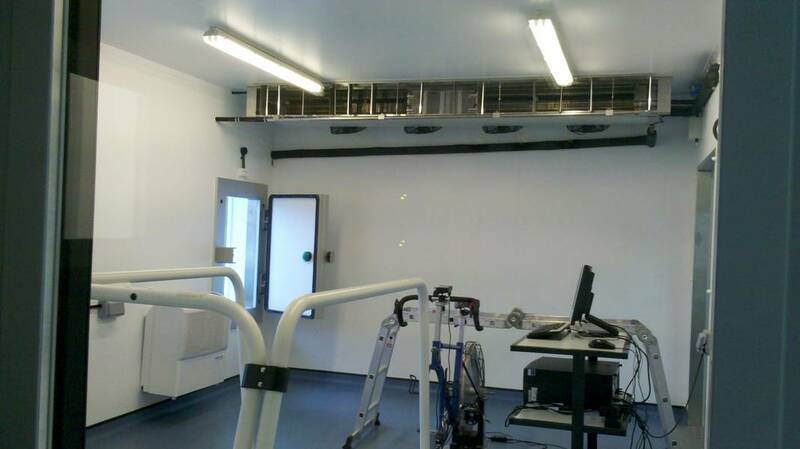 Recently upgraded to include full extreme altitude simulation with bespoke dehumidification and post cooling on both systems, the chamber provides -25 to +55°C, 20 to 98% RH and altitude to 6480 mtrs. This is also used for student research into Hypoxia and the effects on the human body and brain. 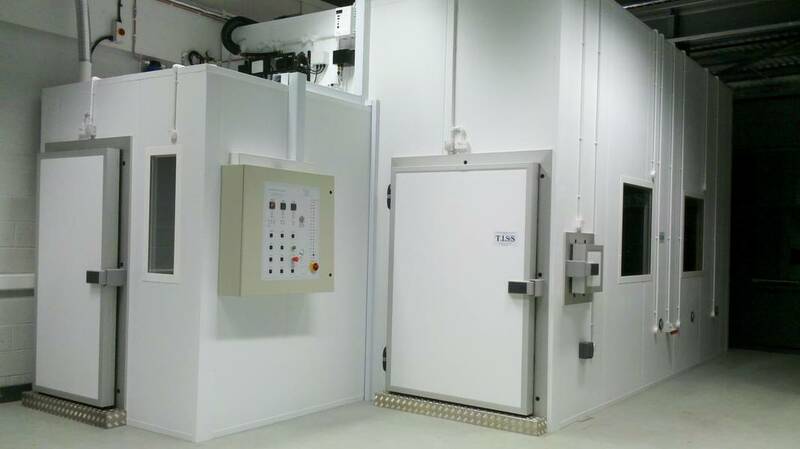 TIS Services undertook a full upgrade of a previously installed chamber only this time utilising up to date technology. With a fully variable compressor and fan system the chamber can seamlessly control how hard it needs to work based on a simple set point. 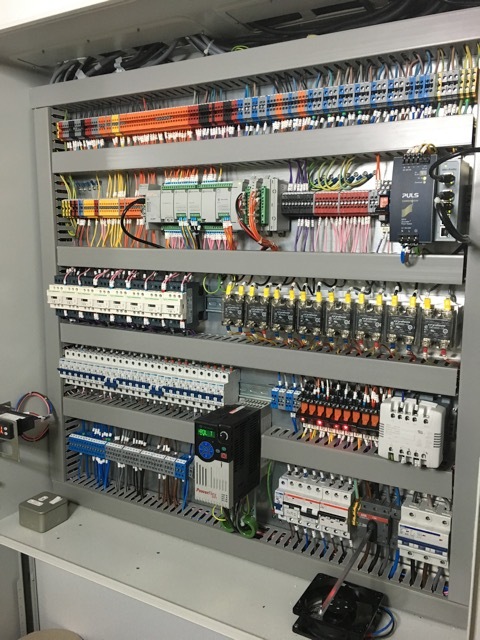 Using TIS Services Bespoke ladder logic designed off of 30 years in the business. The chamber provides -25 to +55°C, 20 to 98% RH and altitude to 6480 mtrs. This is also used for student research into Hypoxia and the effects on the human body and brain. 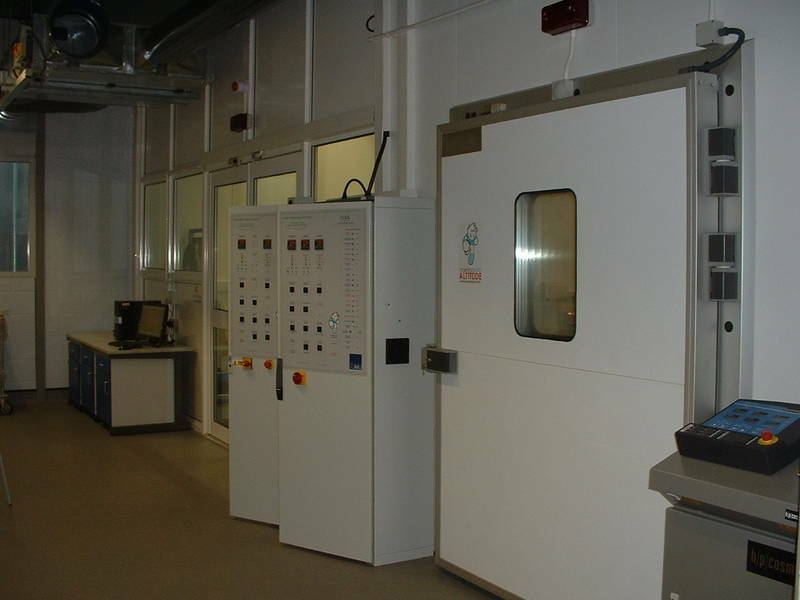 :-Environmental chamber for cold start testing and performace related studies at a range of temperature, operating between -25°C and 35C existing and new exciting Triumph designs are tested to the limits in the TISS climatic test chamber. Recently used for research and testing for the forthcoming Qatar World Cup as shown on the BBC News. 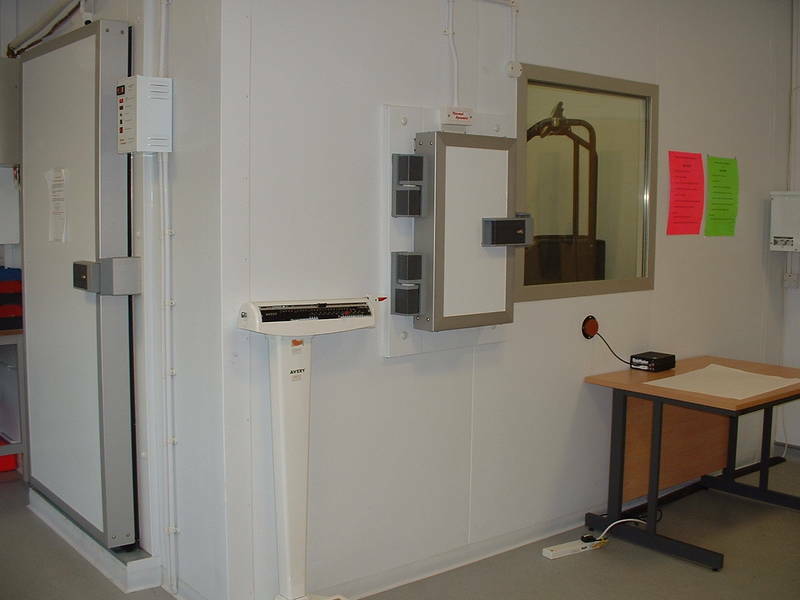 Full environmental facilities, the chamber offers -25 to +55C, and 25 to 98% humidity. 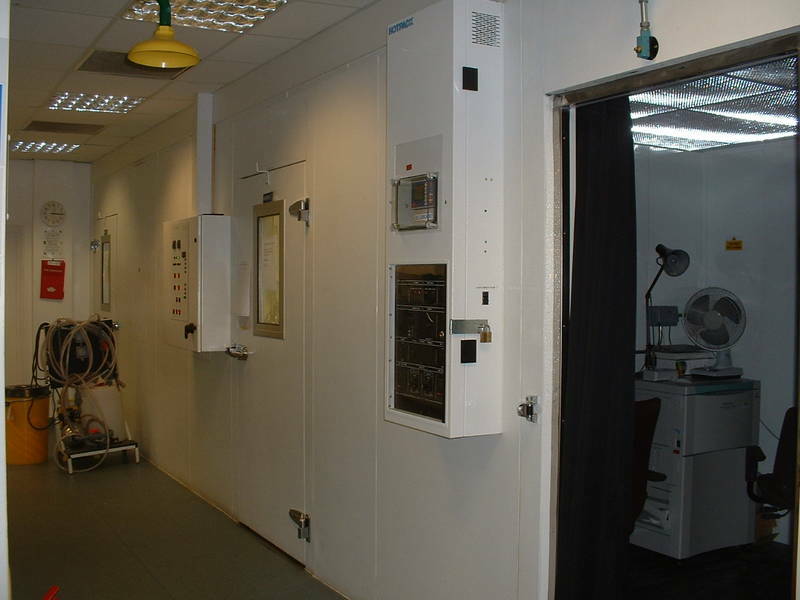 Full environmental chamber recently removed and rebuilt in the new facility and upgraded to provide extreme altitude simulation, the chamber offers -25 to +55C, 25 to 98% humidity and altitude to 4380 mtrs with complete automatic operation. The facility is utilized for Student research and a variety of local sports clubs to enhance their training regimes and fitness levels. 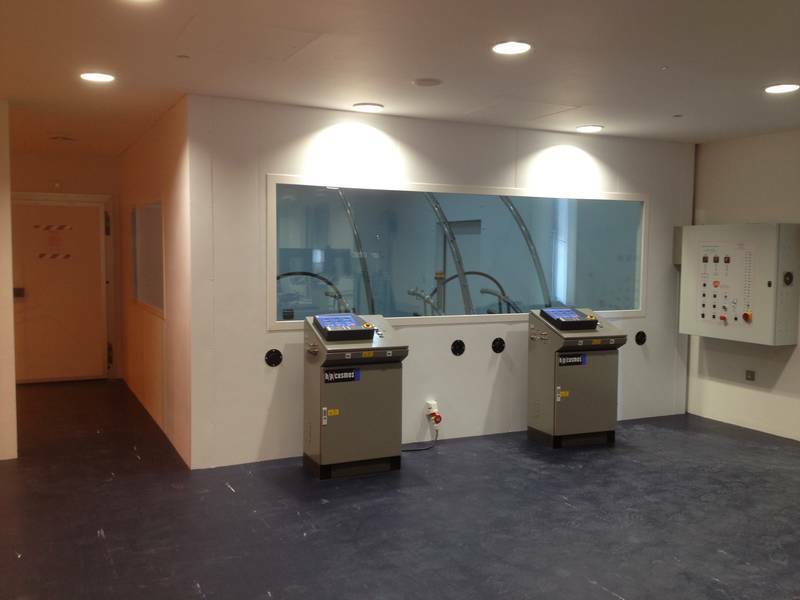 A full environmental chamber designed for extensive research on human performance, stamina, nutrition and hydration. The chamber provides -25 to +55C, 25 to 98% humidity with altitude to 5800 mtrs under supervision. 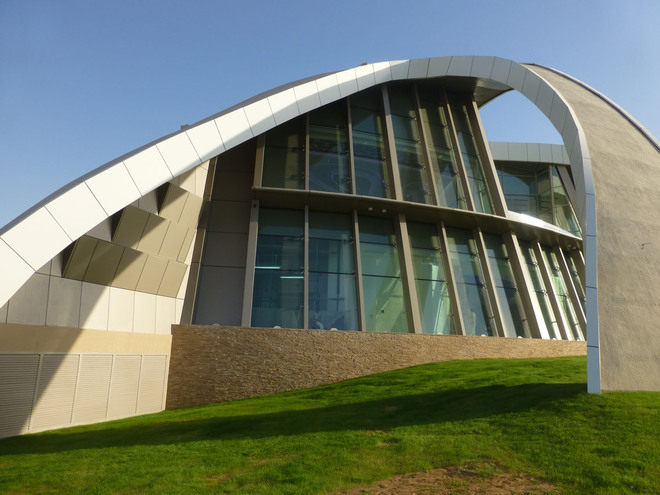 In use on a daily basis the chamber is used by the elite from British, European and global superstars from Dame Kelly Holmes, Jenson Button and many, many more in a bid to experience environmental simulated altitude and aid GSK’s world-wide research, including the exposure to hypoxia. A non-extreme environmental facility with full altitude simulation operating from +10 to 35°C with altitude to 4000 mtrs. 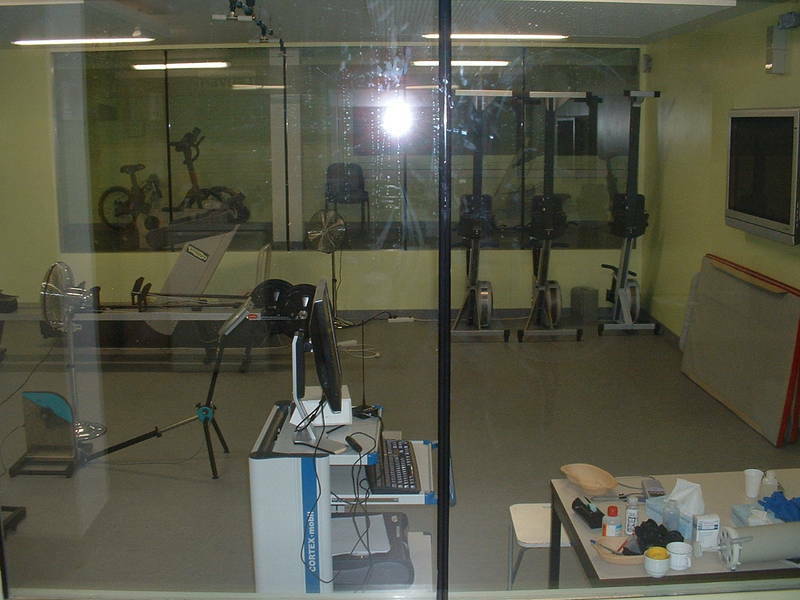 The chamber is used constantly for hypoxic training [altitude simulation] and rehabilitation of the squad members to enhance their cardiovascular respiratory and pulmonary rates. 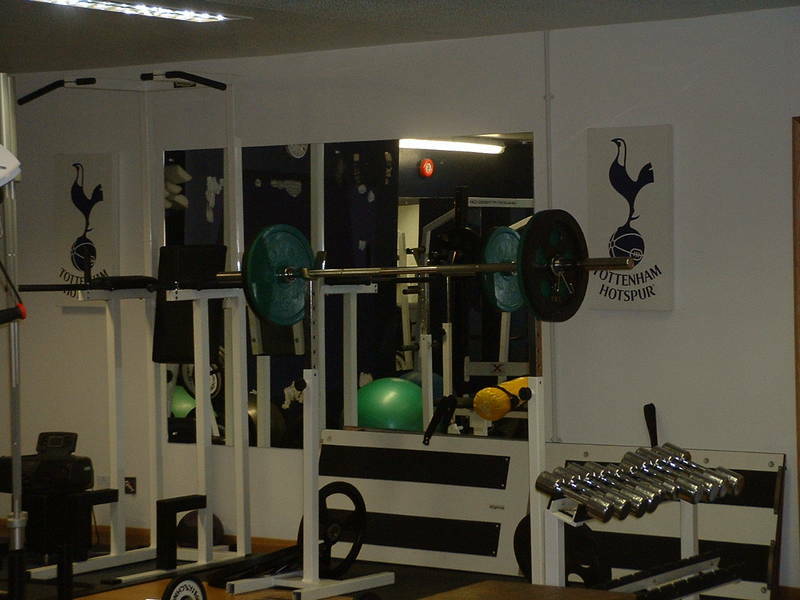 Spanish manager Juande Ramos helped turn his Tottenham squad into cup-winners by introducing set hypoxic training regimes. 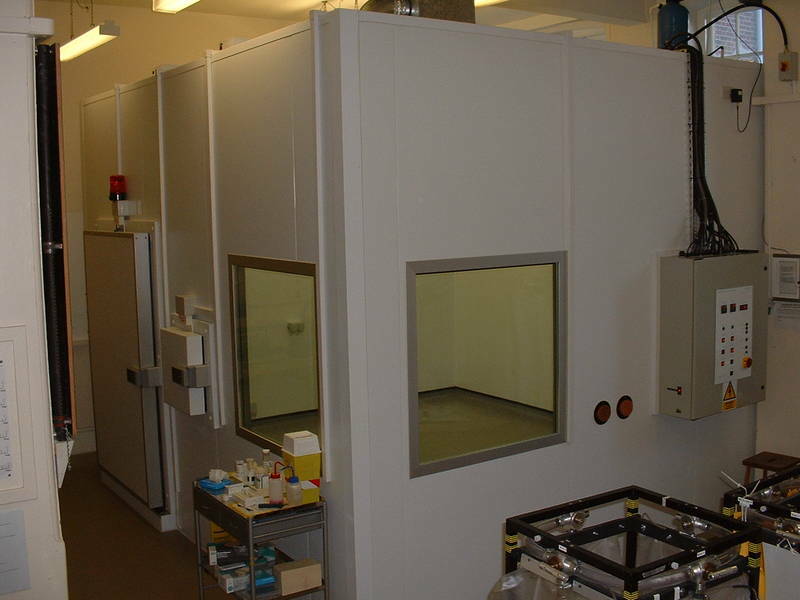 A Multi environment / compartment chamber operating from 0 to 50°C and 98% humidity, these chambers are used for the research and testing of hair care products including shampoo and conditioners plus many other associated items for the P&G corporation worldwide product lines. Primarily used for research and acclimatization procedures, this challenging facility incorporated shaped corners, a split ceiling level and heated windows cut through the adjacent corridor wall for viewing. Offering -25 to +55C, 20 to 98% humidity at high temperatures and extreme altitude simulation to 6000 Mtrs. 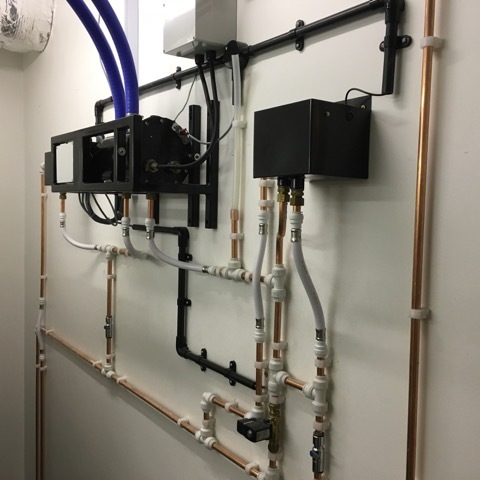 A former indoor swimming pool fully converted into a triple glazed full environmental chamber offering -15 to 55°C, 15 to 95% and simulated altitude to 5870 Mtr. A popular training venue for the elite and up & coming Belgium athletes prior to competing around the world. Bisham Abbey – The Home Of British Rowing. The training facility that has probably been used by more Olympic and World Championship medallists than any other facility of its type in the world. Athletes from team GB used this facility extensively to acclimatise for the Beijing Olympics as seen on TV. One of our most in depth challenging installations, twin extreme environmental chambers with adjacent lobby’s incorporating a pass through door, the largest bespoke GEA evaporators coils required for the application. These chambers feature full extreme altitude simulation to 6000 Mtrs and temperature -35°C to 55°C, humidity 10% to 98% with variable dehumidification and complete variable air flow characteristics that include vertical and pseudo laminar flows. These two chambers provide unrivalled control & uniformity simulating almost any required environment on the planet and further. 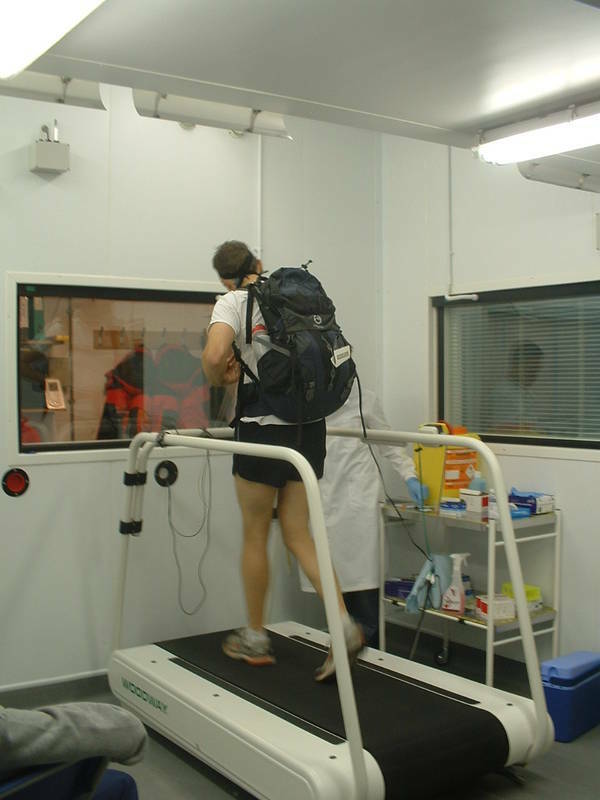 Mainly used for research into human ergonomics, extreme and prolonged exposure and clothing research. The photo shows two of the four facilities that exist at Loughborough University. These chambers were also used for research and verification during filming for the BBC’s “wild weather” documentaries. 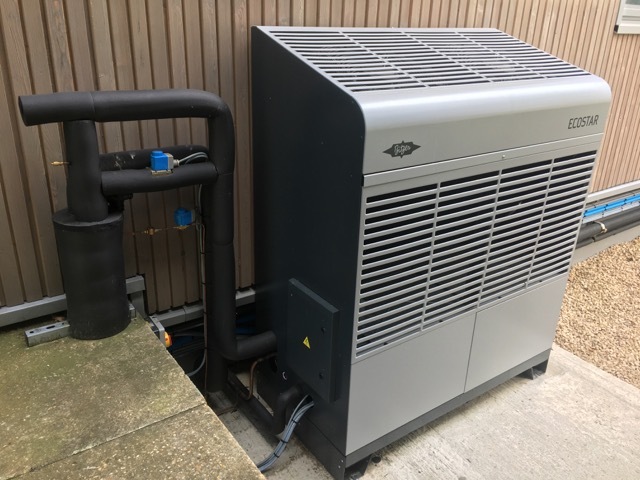 A challenging installation involved lifting a 400kg compressor 90ft into the air in order to situate it in a custom built housing on the roof. 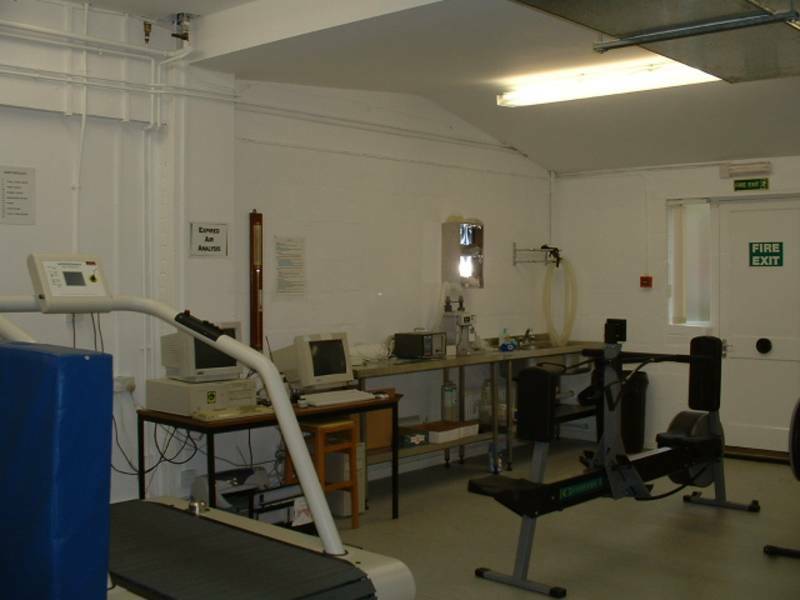 The associated environmental chamber, located two floors down, was provided in association with Sporting Edge and provides full control of temperature -25⁰C, humidity to 98% and simulated altitude to 5800 mtrs allowing the university to simulate almost any climate on the surface of the planet. 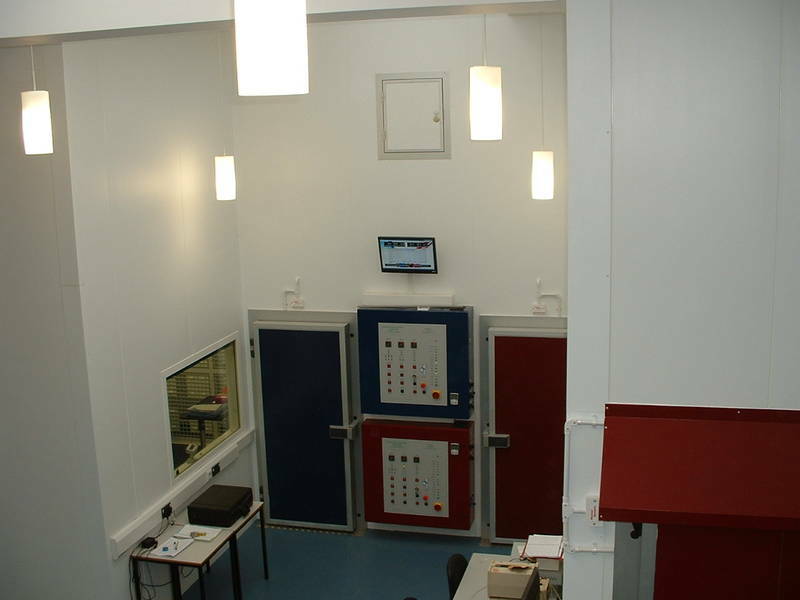 Re-design of the entire facility at Liverpool John Moore’s University in order to overcome serious performance problems on twin chambers (Altitude & Extreme Environment) that were originally provided by another supplier. 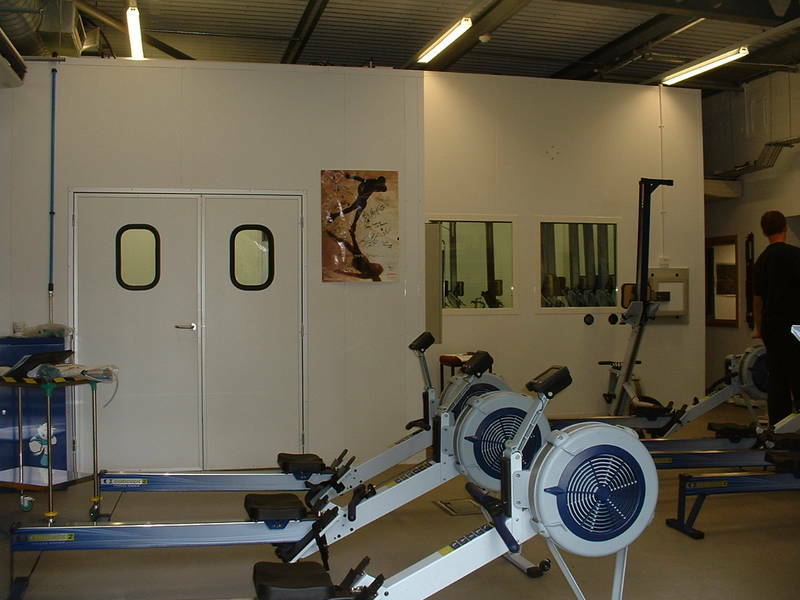 The re-design included the replacement of the entire control system as well as complete revision of ventilation arrangements and the addition of new equipment to allow the chambers to achieve the required performance after two years of being almost un-usable, it is now benefiting research and local sports clubs who utilize the facilities when possible for training purposes. 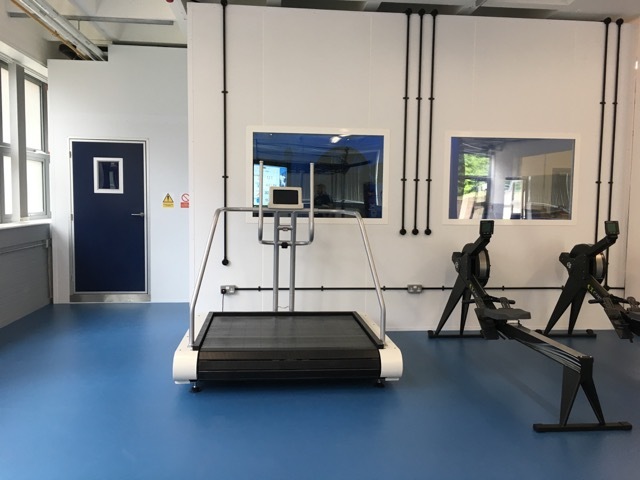 A clean cut full environmental chamber installed in the main physiology gym area providing simulated altitude to 5600m, temperatures from -20°C to +55°C and humidity up to 98% with full automated control and data logging. Mainly used for sports science research but available to external bodies for training and acclimatisation & hypoxic research.